GaGa is releasing her Fame album again with new material, and anyone who's tried to keep track of which version of the CD they have (does yours have "Again Again" or "Starstruck"? "Disco Heaven?" The new or old mix of "Summerboy"? Did you even know there's a difference? ), will be given even more confusion with The Fame Monster. The Monster version is 8 new tracks, which GaGa told MTV, "is a complete conceptual and musical body of work that can stand on its own two feet. It doesn't need The Fame." Need it or not, it will be packaged with the standard US and UK versions of the album, featuring deluxe and super deluxe variations. It also, blessedly (Beyonce, take note) sold separately. The album drops November 23. If you're one of the 5 people left who doesn't have The Fame, you can get the 2-disc version as well. 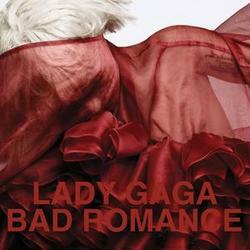 The single disc features a blonde GaGa and the 2-disc features a brunette.